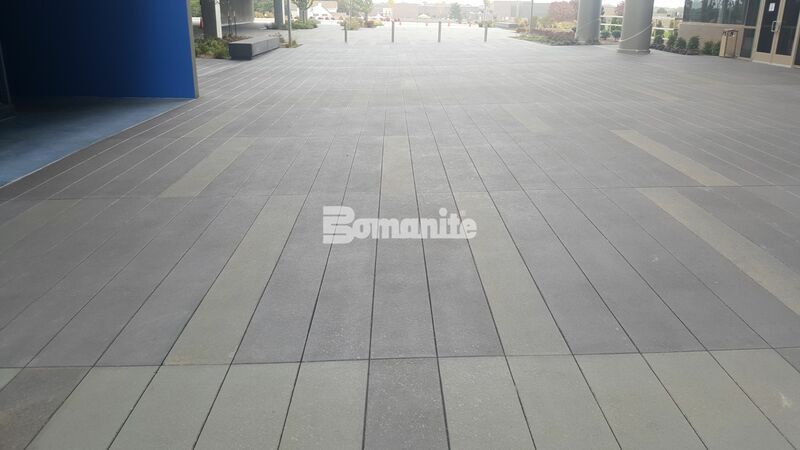 The use of Bomanite Sandscape Texture® allows this project in Olathe, KS to exude elegance and beauty and is an award-winning project by a member of our Bomanite Licensee family, Musselman & Hall Contractors (M&H). Working closely with local architecture firm Gould Evans during the design development phase, M&H assisted with the project specifications and samples. The design team and owner’s representatives visited the M&H architectural concrete showroom multiple times to discuss project particulars and review samples until the team was able to fine tune the project finishes. 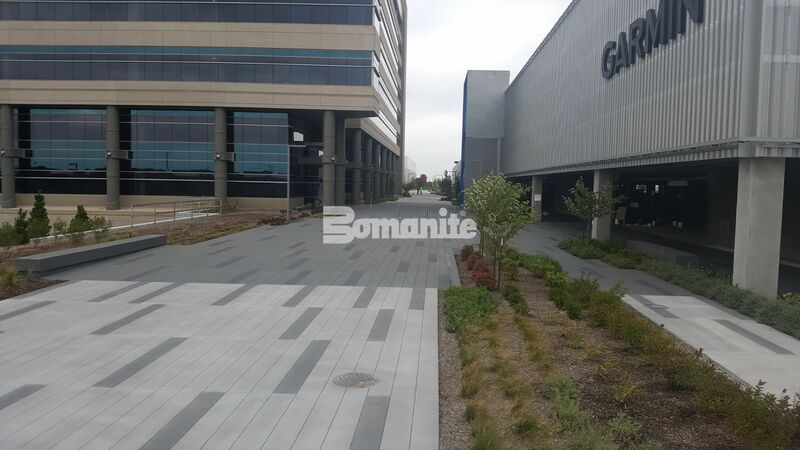 Musselman & Hall placed 40,800 SF pedestrian plaza as part of a building expansion project at the Garmin headquarters in Olathe, KS. 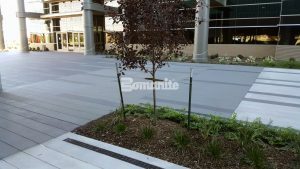 Nearly 25,800 SF of the plaza was done utilizing the Bomanite Sandscape Texture® Finish, Multiple planter beds, cast-in-place Sandscape finished concrete benches, a continuous 1’ x 8’ joint spacing, and the detailed stain pattern created unique challenges to this project. 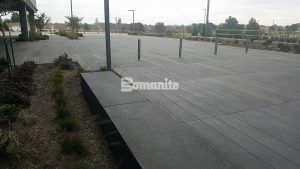 The entire plaza was saw cut and v grooved, or bevel cut, on a 1’ x 8’ joint spacing, joint layout was extremely critical. 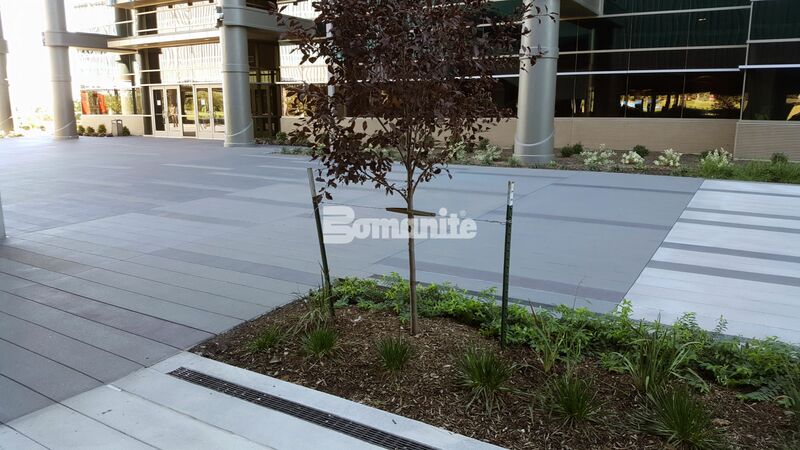 The jointing was continuous throughout the 700’ long plaza. Any variance in joint layout would be obvious and would not be acceptable. M&H used Bomanite Con-Color to stain the Sandscape Texture portion of the plaza. 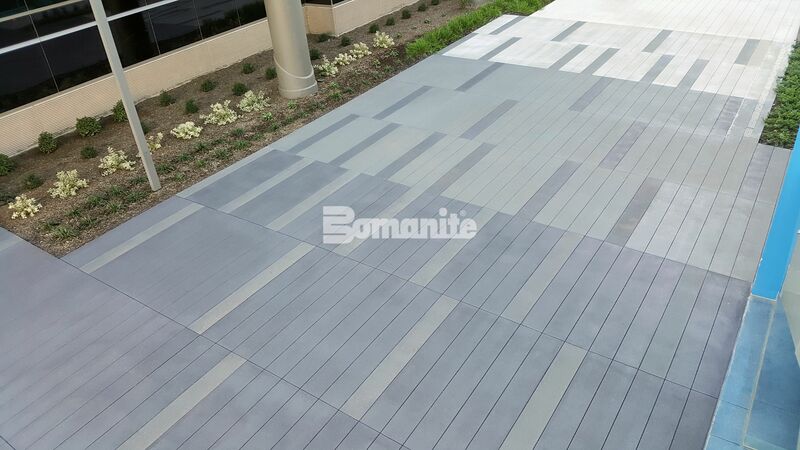 The stain pattern incorporated three Bomanite Con-Colors; Cobblestone Gray, Nickel Gray, and Natural Gray. The stained Sandscape was then sealed with BomaSeal C-18. 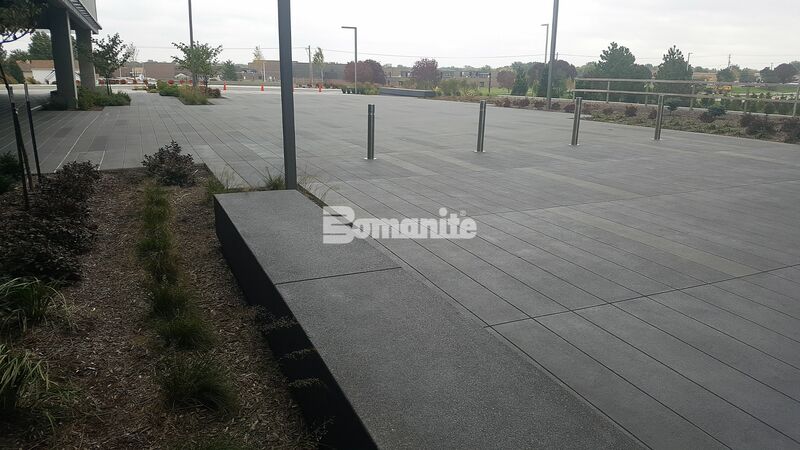 This is a beautiful project and exhibits the potential and beauty of quality architectural concrete. This project won the Gold Award 2017 for the Best Bomanite Exposed Aggregate Project.